Meet Mango Wood, Once a stray with no warm home to go to or most importantly a loving family to love him, i noticed he has a stubbed tail :( something must of gone wrong with his last family. 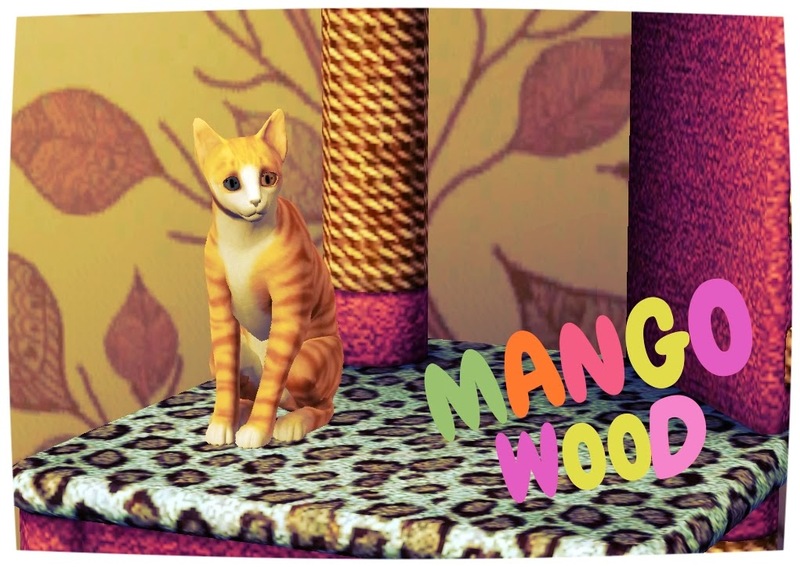 Mango was not easy to to get to at first, he was ever so shy and was scared if you came near him, But Mya Wood (Not yet for download) came along and brought this little fella home with her giving him a warm loving spot as what he deserves. Mya being new to pet rescuing, Mango was a handful. Mango had fleas but boy he didn't like baths one bit!! ended up with a few nice scratches, but didn't want to force him into the bath so we tried in time to get him use to this kind of thing, for all we knew it was new to him. 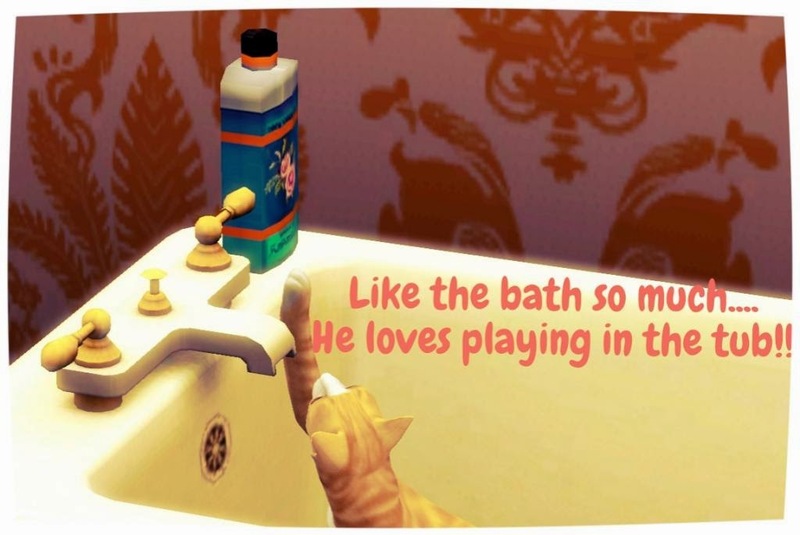 We had a few attempt that turned out like that, but in the end i was so sure he would learn, and in time he did, he loves his baths, but on his bad days he will turn his nose up at the thought LOL. Mango was not one for people at all, though he was use to me, he was not sure on other people, which was sad since he had so much love to give, but one day a friend pop over and Mango went up to sniff them, stepped back and watched him move around etc and the next thing he was sat on his lap, i was so gob smacked it brought a tear to my eye. 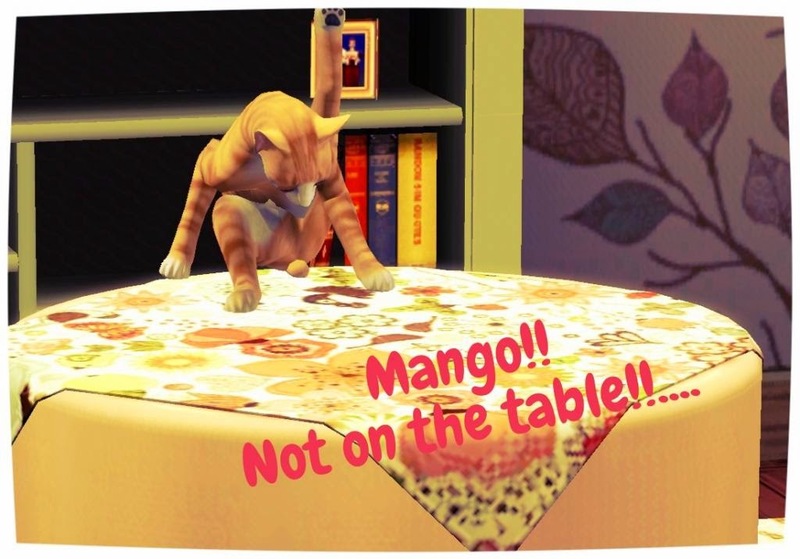 Oh Mango has a dirty habit i just couldn't get him out of.....he likes to clean him self on counters and tables!! Oh my god it was embarrassing when you have visitors around, good job all my friends are animal lovers and love Mango. On his first few nights at home, he didn't settle, which is normal for any pet in a new place, he would eventually fall asleep at the end of my bed, i didn't mind, as he is such a lovely warm cat :) but now he falls asleep anywhere! he is great little sleeper. He loves his toys and could play all day (when he isn't watching TV) even passers by stop to have a game of catch from time to time, its mental, but met alot of great people that way. 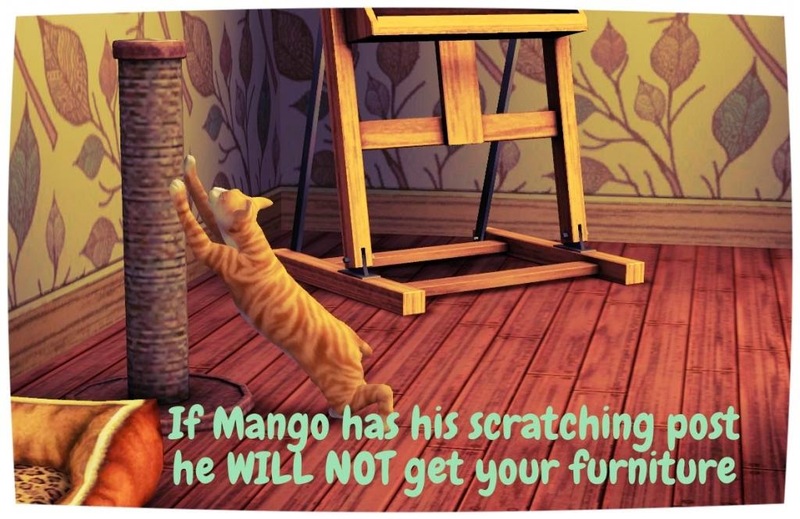 Most people are worried that cats will destroy their furniture, but if he has his beloved scratching post he wont at all touch the furniture, and in fact even without it he still wouldn't touch your furniture :) he is great for a starter pet. 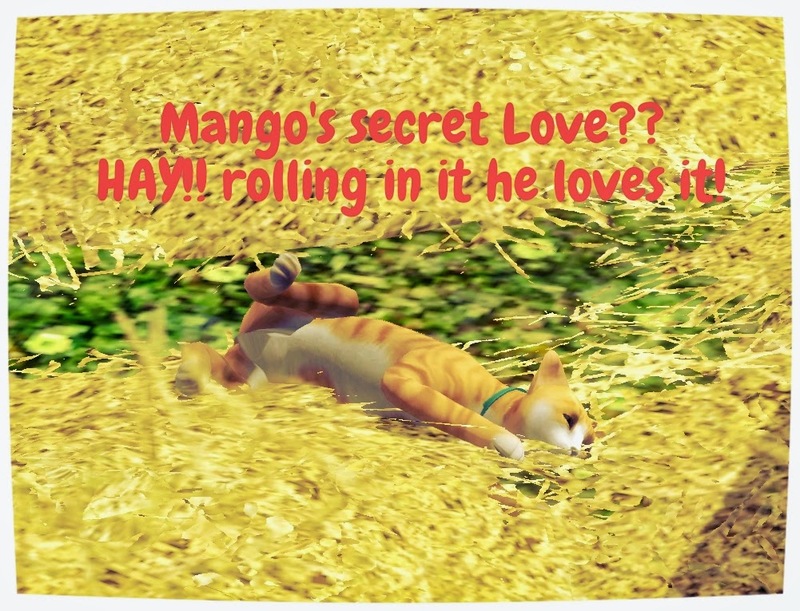 Mango has a strange secret love!! nope not another cat but HAY!! i put it out for the wild horses to have somewhere to come eat so that they don't go hungry, but found this little rascal on more than one occasion rolling in the hay, OH he is a funny little thing, i bring some in at times for him to have a roll around if its raining out. 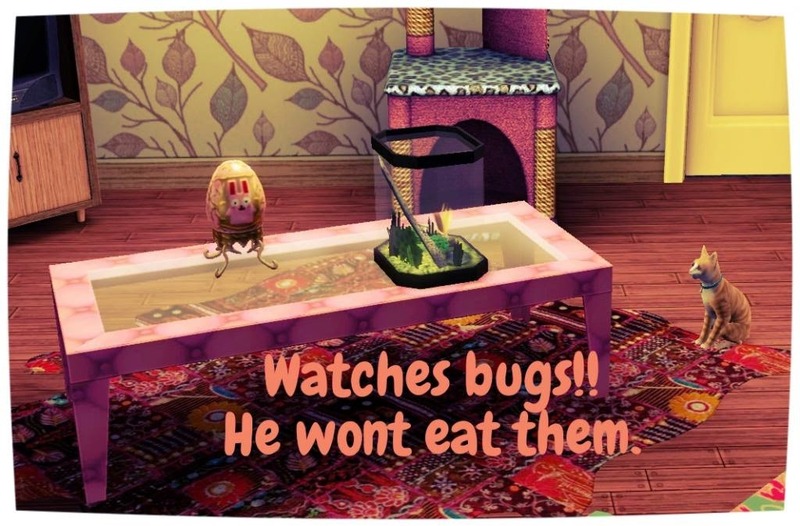 Oh i collect bugs on the odd occasion to, and unlike most pets they like to chase them or some eat them, well Mango will sit there for hours watching them, its great to have such a wonderful caring cat, he is even great with birds, he don't batter an eye. Mango was Love at first sight!! He was my first rescue pet, and i formed such a strong bound with him that it was so hard to put him up for adoption, if you haven't fallen in love with him then you must have something wrong with you, this guy is everything and more that you want in a cat. Please give Mango the home he deserves.